Mudroom Studio is offering a variety of ½ Day Summer Camps for children ages 6-12. Each camp session will revolve around a fun theme that will allow our campers to express their creativity. Your child will create a number of pieces including pottery, mosaics, clay, glass and mixed media artwork during each session. **Reservations are required to secure your campers spot. Camp size will not exceed 12 campers per session. Price: $110 per child, per camp session. 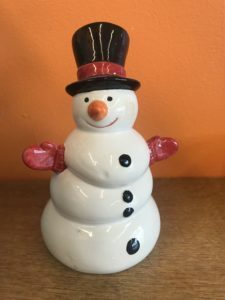 Join us and get ready to snack in style as you create a unique plate, sundae bowl, popcorn container, mug, trivet and other fun crafts. Garden markers, stepping stones, flower pots and planters. 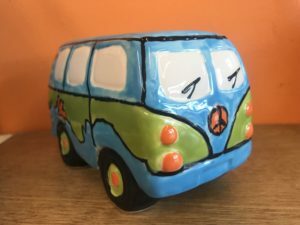 Paint and design unique one of a kind garden art! Create your very own Halloween pumpkins, turkeys, winter snowmen, shamrocks and more to get ready for all your favorite holidays! Join us for a wild week. We’ll be painting some of our favorite animals, as well as dabbling with clay, mosaics and more. It’ll be a roaring good time! 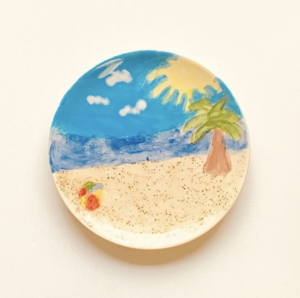 Create your very own beach experience with beach themed cups, mosaics, ocean creatures and more! 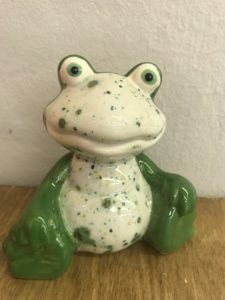 Create some of your favorite woodland friends in pottery and mosaics. 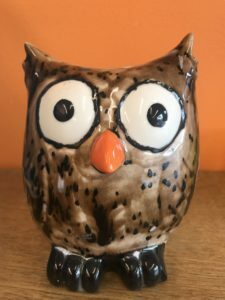 Owls, fox, mushrooms, terrariums and more! Peace, love and creativity…. Come have a groovy time making peace signs, hippie vans, and more. 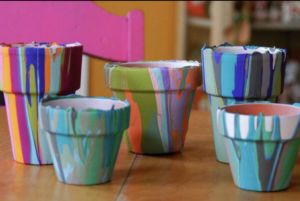 We’ll also play with clay and learn to tie dye! We’ll play with clay, design jewelry, create a Zen garden, practice Yoga and much more. 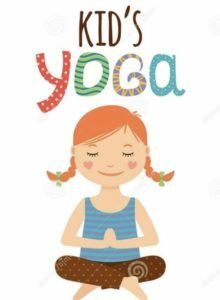 Nicole Baker, owner of COCO Kids Yoga, will come and practice yoga with the camp yogis. We’ll create, meditate and have a fun time!